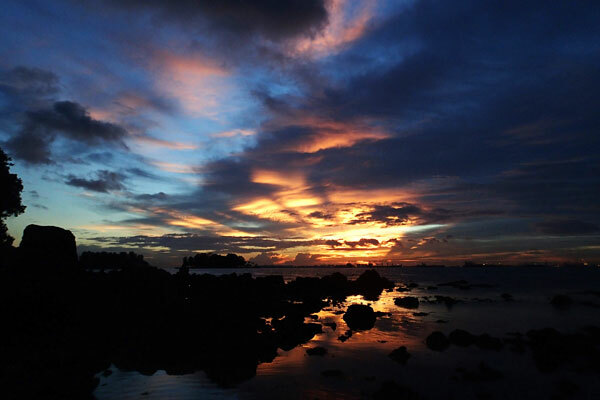 While exploring the shores of St. John's Island, everyone suddenly paused at where they were and started admiring the beautiful sunset, bidding goodbye to the second day of the lunar new year. 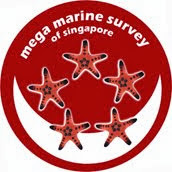 We were lucky to be on the outer edge of the water snake that visited from the northeastern side and turned in the clockwise direction on the boundary of mainland Singapore. At the beginning part of the trip, we experienced mild drizzle. 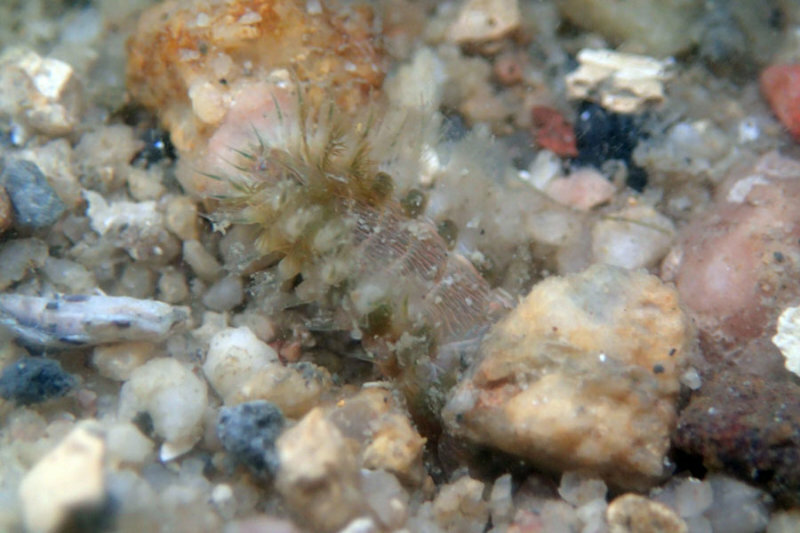 It was not longer after I started explore when I saw my first critter - a reef bristleworm (Eurythoe complanata). 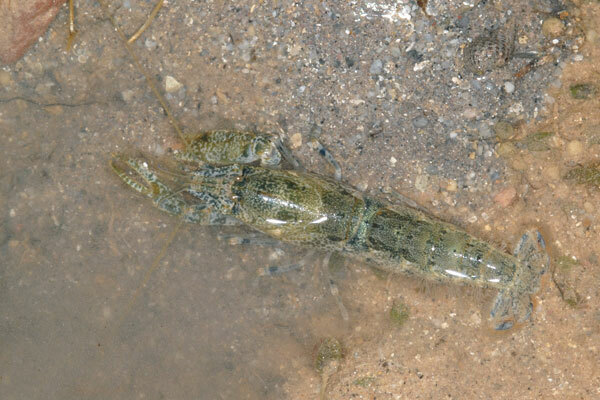 It looked like it was out hunting for food. 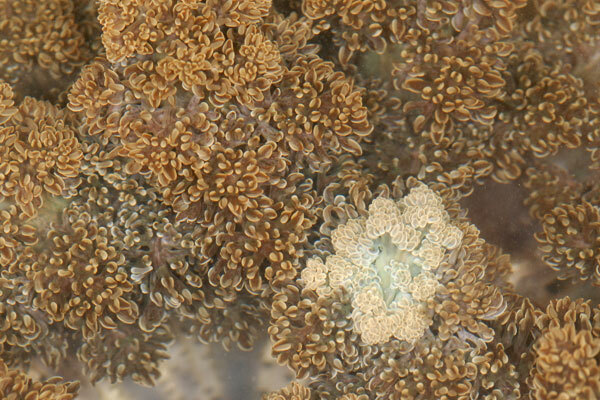 On a colony of blue coral (Heliopora coerulea), there were many tiny crabs coming out to feed. 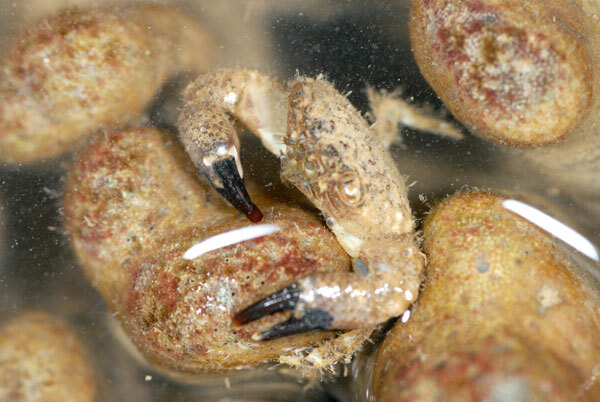 The crabs looked similar to the smooth spooner crab (Etisus laevimanus), but of much smaller size. 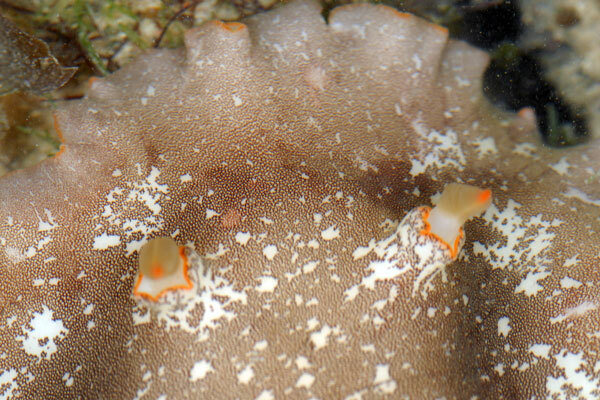 They were out feeding on the surface of the blue coral. Somewhere near the blue coral, I took a photo of this. 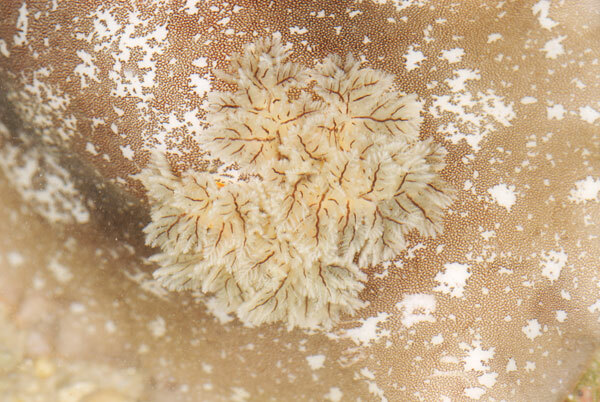 This is actually a fire anemone (Actinodendron sp.). 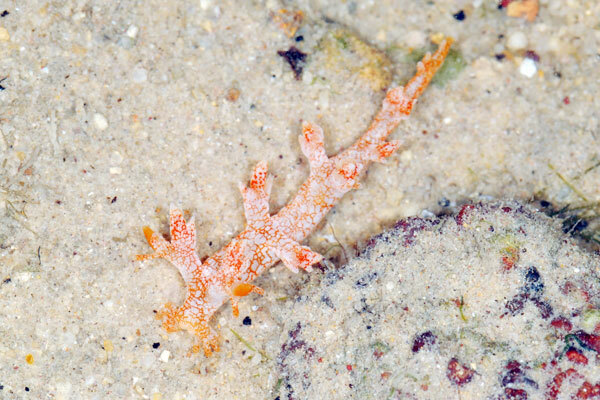 I thought it was a species of soft flowery coral on shore and when I was editing the photo. 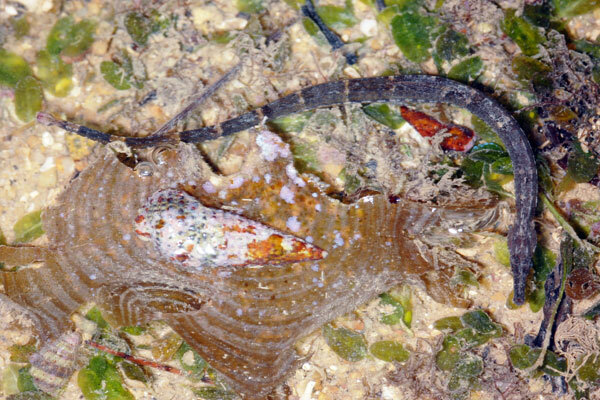 It was Kok Sheng who surfaced that it could be the fire anemone after looking at the white stripes with spots at the bottom of the photo and oval shaped tip tentacles. 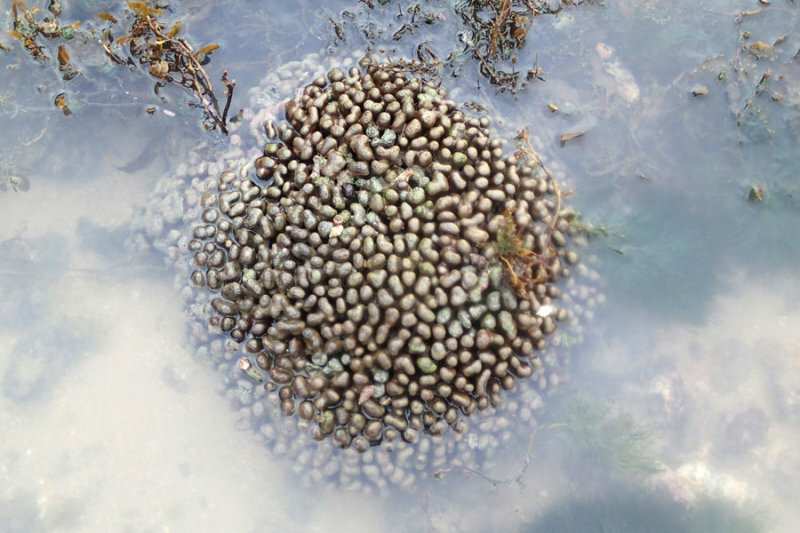 Luckily for me as I did not try to touch it on shore. 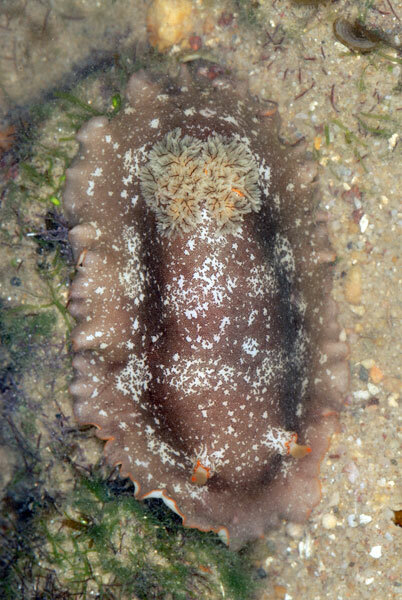 The fire anemone causes a nasty sting when touched. 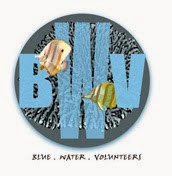 Phew and WOW! 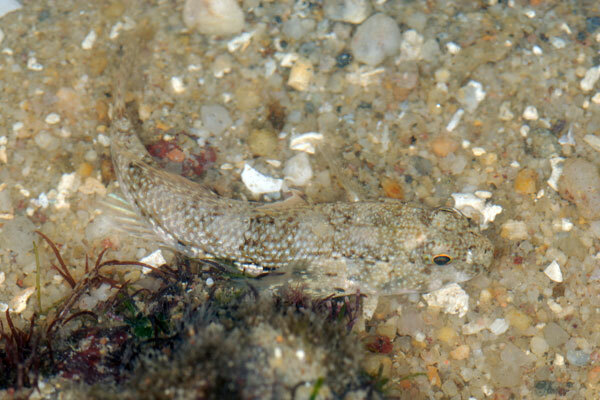 There were many gobies in the shallow water and they were kind enough to stay still for me to take a photo of them. 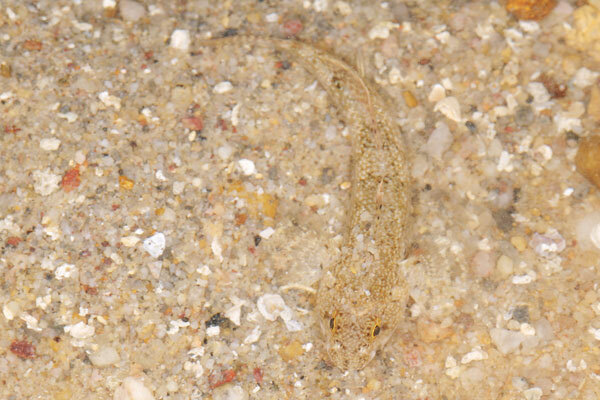 They are not easy to spot sometimes as they blend very well with the colour of the sand, thus making it difficult to shoot them. 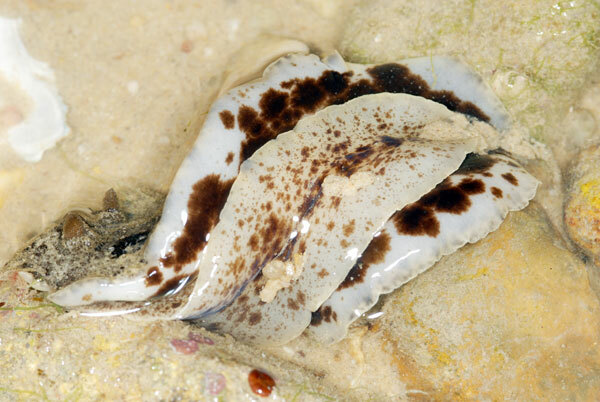 Tse-Lynn brought her son, Ethan, to visit the shore with us today and he helped to find a pair of platydoris nudibranch (Platydoris scabra). 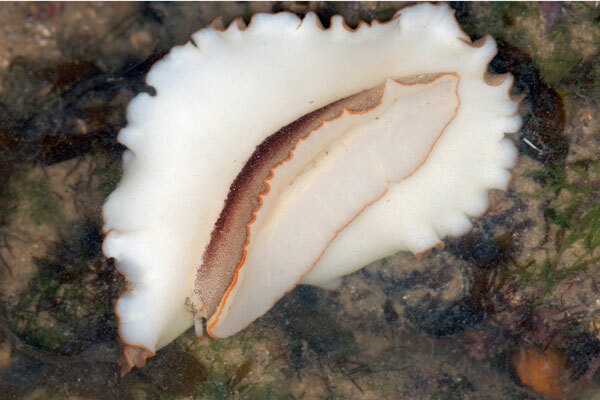 As mention by Ethan, the platydoris nudibranch has a fine rough surface. 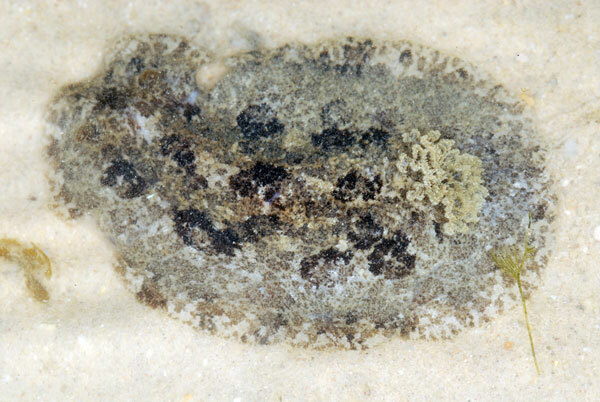 Here's a video of the platydoris nudibranch moving. 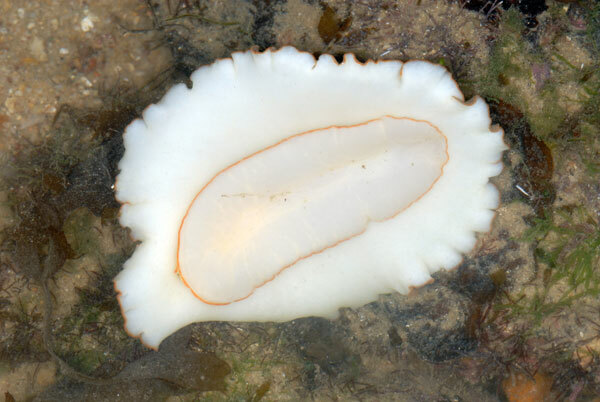 Ria found another type of nudibranch just as she was flipping a rock, the spotted foot nudibranch (Discodoris lilacina). 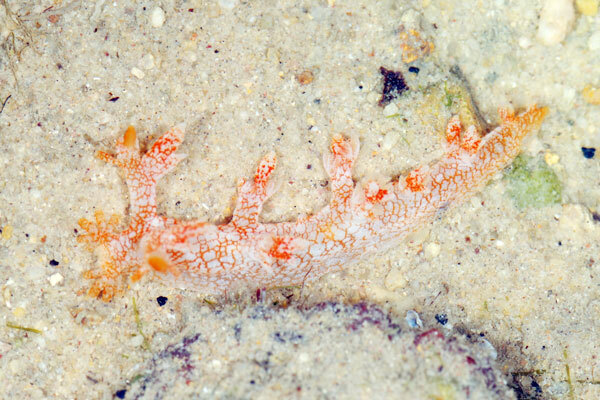 I found it tricky to shoot this nudibranch as it colour patterns is very close to the sandy area. 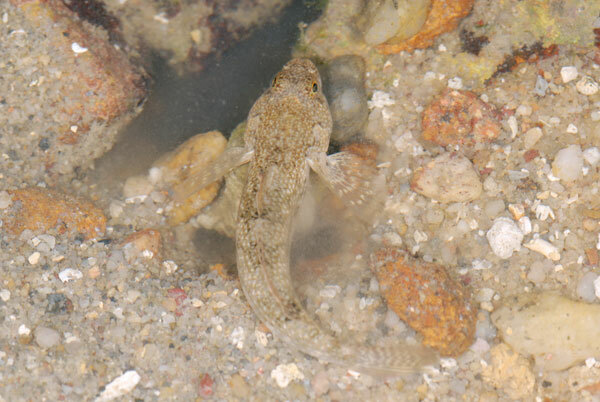 Dorsal view, rhinophore on the left. 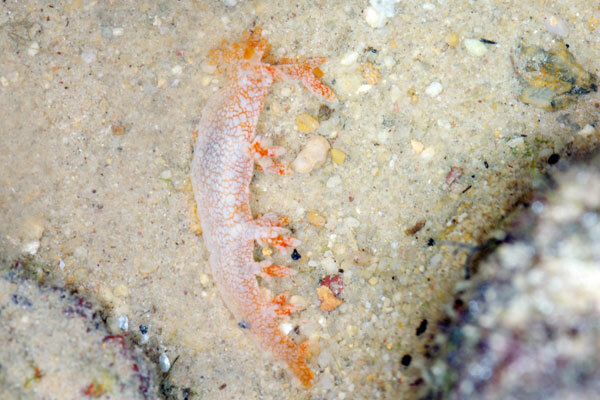 Ria also found the starry mouthed nudibranch (Bornella stellifer) while she was exploring the lagoon. Moving on to the lagoon, the horn-eyed ghost crabs (Ocypode ceratophthalmus) are out hunting and enjoying their crabby meals. 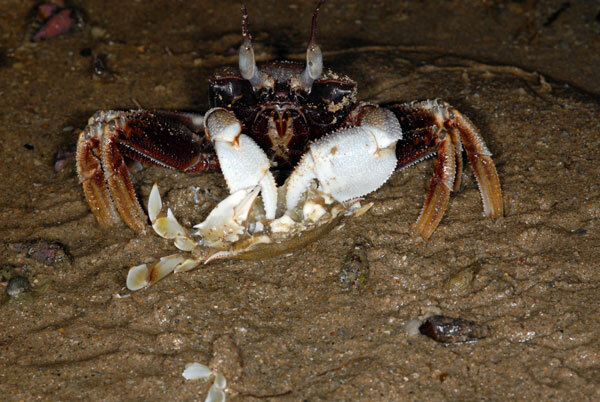 I saw two ghost crabs feeding on crab. 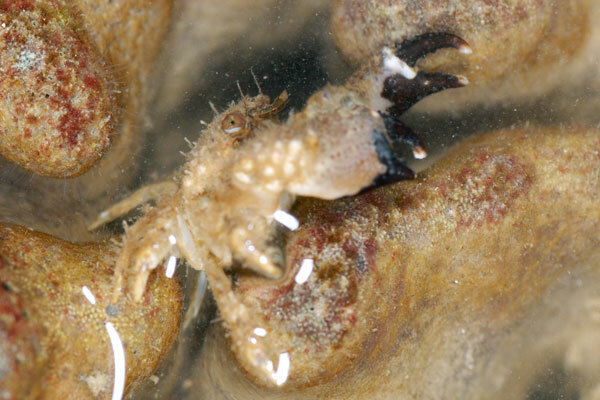 One was feeding on a swimming crab and the second was feeding on a moon crab and it left bits of the pincer and arms on the shore. 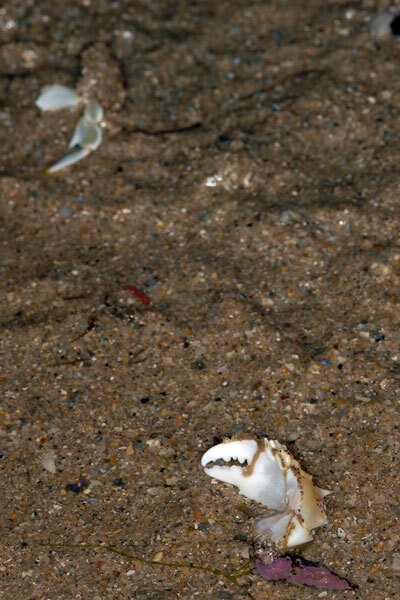 Broken remains of the moon crab on the shore near the ghost crab. 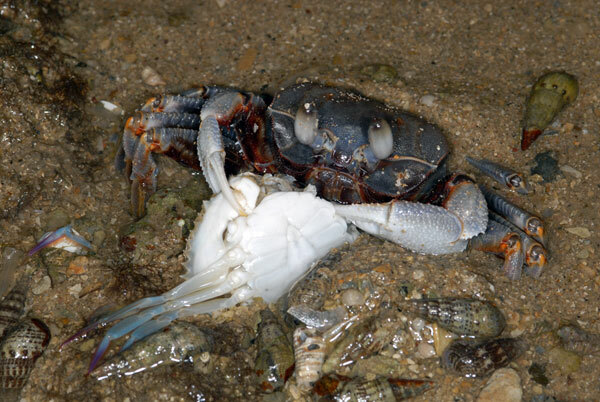 Here is a video of the second ghost crab feeding on the moon crab. 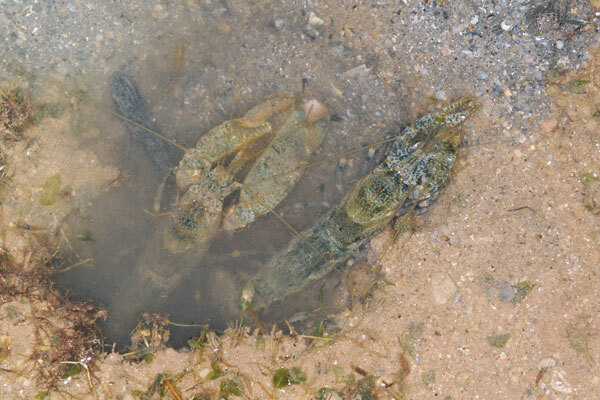 This trip was my first time seeing two snapping shrimp coming out of their borrow. Are they a mating pair? 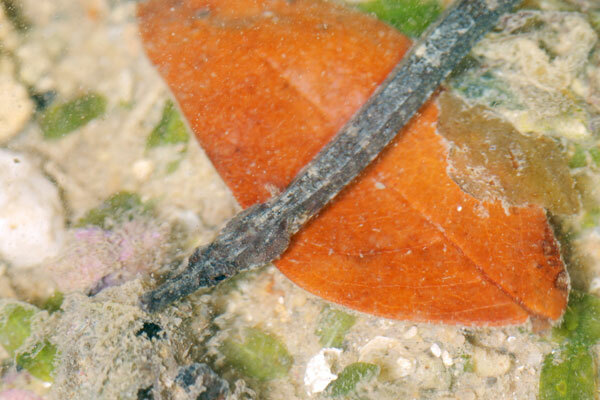 In the patch of seagrass in the lagoon, Kok Sheng spotted a pipefish. Ending off this post, here is a panorama shot of the beautiful evening sunset at St. John's Island, with the reef in the foreground.